Markets are up this morning after Chinese stocks rallied overnight. Bonds and MBS are down. The second revision to first quarter GDP came in at 0.8%, slightly below the Street estimate of 0.9%. This was an upward revision from the initial 0.5% estimate. Personal incomes rose 0.4% in April, in line with expectations. Personal spending rose 1%, which topped the 0.7% estimate. The personal consumption expenditures index (which is the inflation measure preferred by the Fed) rose 0.2% month-over-month and is up 1.6% annualized. We are seeing some sell-side firms take up their second quarter GDP estimates on this number. Home prices rose 0.9% MOM and 5.4% YOY, according to the Case-Shiller Home Price Index. This was slightly ahead of estimates. An improving labor market along with tight inventory is driving prices higher. 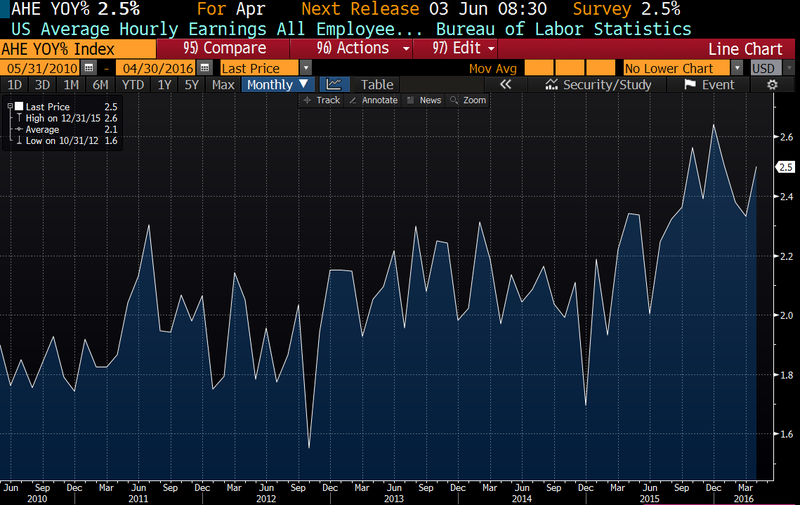 In other economic data, both the Chicago Purchasing manager index and the consumer confidence index fell. On Friday, Janet Yellen hinted that the next rate hike is probably at the June or July FOMC meetings. Stocks are higher this morning as emerging markets rally. Bonds and MBS are down. Mortgage Applications rose 2.3% last week as purchases rose 4.8% and refis rose 0.4%. The average 30 year fixed rate mortgage rose 3 basis points to 3.85%. The average jumbo rate increased 8 basis points to 3.82%. 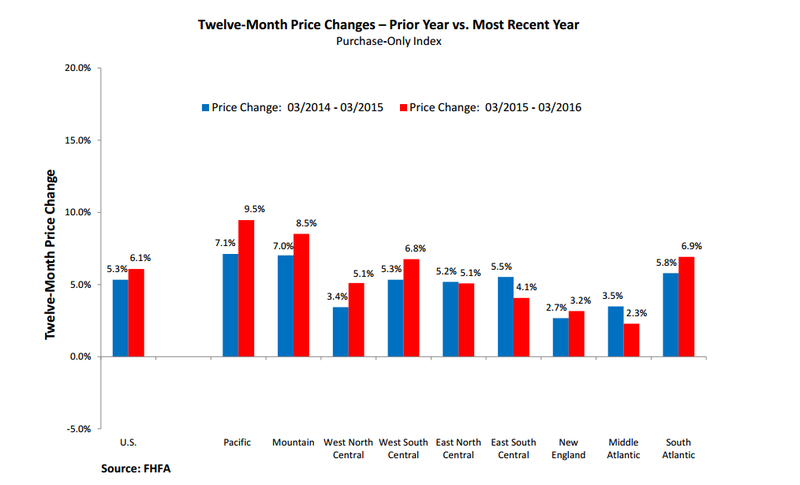 Home prices rose 0.7% in March, according to the FHFA House Price Index. “While the overall appreciation rate was robust in the first quarter, home price appreciation was somewhat less widespread than in recent quarters,” said FHFA Supervisory Economist Andrew Leventis. “Twelve states and the District of Columbia saw price declines in the quarter—the most areas to see price depreciation since the fourth quarter of 2013. Although most declines were modest, such declines are notable given the pervasive and extraordinary appreciation we have been observing for many years.” Interesting to see prices begin to decline in some states. A US appeals court threw out the $1.27 billion judgement against Bank of America for Countrywide’s sins related to the “hustle.” The 2nd U.S. Circuit Court of Appeals in New York said the proof at trial was insufficient under federal fraud statutes to establish liability. No comment yet from Manhattan U.S. Attorney Preet Bharara. Hillary Clinton is trying to take Donald Trump to task over comments made as the real estate bubble was bursting. Not sure how much traction that is going to get, however she had a conference call with reporters to push the message. 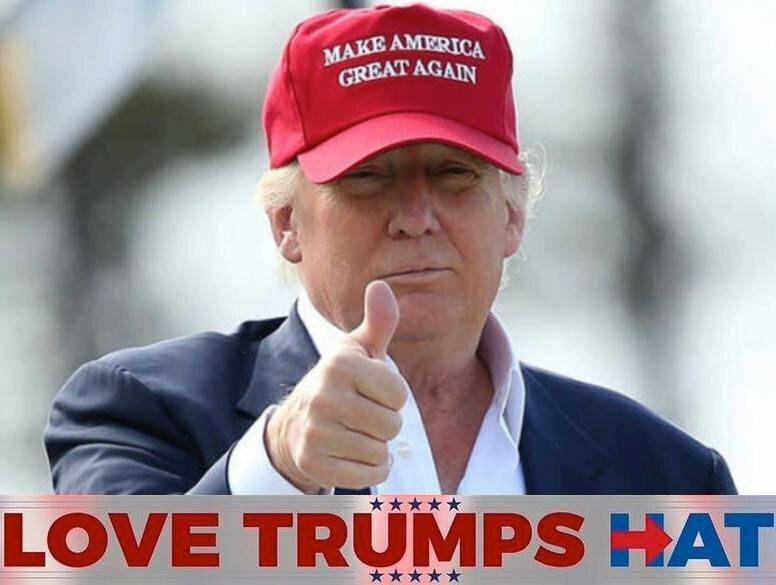 Separately, the Republican party is beginning to unite behind Trump. Not a lot of data this week – the biggest number will be the second revision to first quarter GDP later this week. The Street is forecasting GDP rose 0.9%. We will also get pending home sales and new home sales. Pain in the junk bond market is spreading to the non-commodity space as retailers are beginning to take it on the chin. 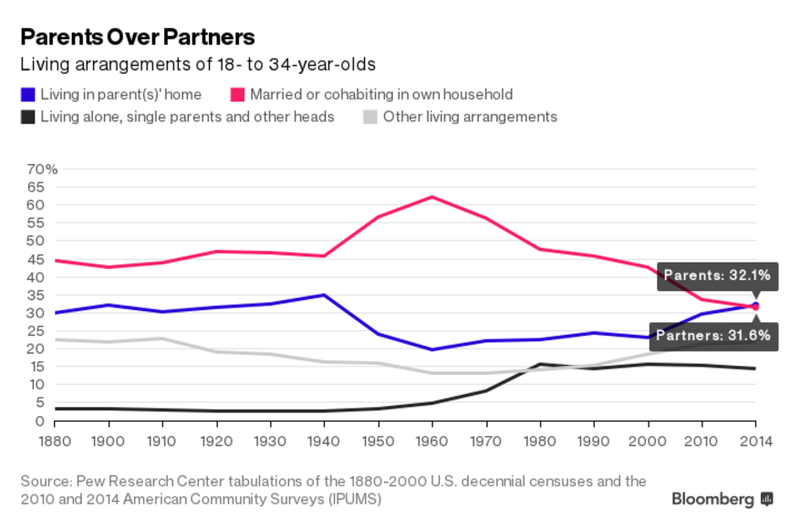 This is one issue that could certainly cause the Fed to maintain low interest rates. Pain here is generally considered bond bullish as well, which means it is a catalyst for lower mortgage rates. Mohammed El–Erian says that the markets are still not fully pricing in two more hikes this year. He believes the Fed has a small window in which to pursue normalization and they intend to take advantage of it. Lending Club’s woes are putting a wet blanket on the rest of the fintech industry. The industry is going from playing offense in Washington to playing defense. The regulators are hungry to bring this industry to heel. Existing Home Sales rose to an annualized pace of 5.45 million in April, according to the NAR. The median home price rose to $232,500, an increase of 6.3% YOY. Total inventory is 2.14 million homes, which represents a 4.7 month supply at the current pace. This is what the Fed’s forecast for 2015 GDP growth at all of the FOMC meetings starting in September 2013. 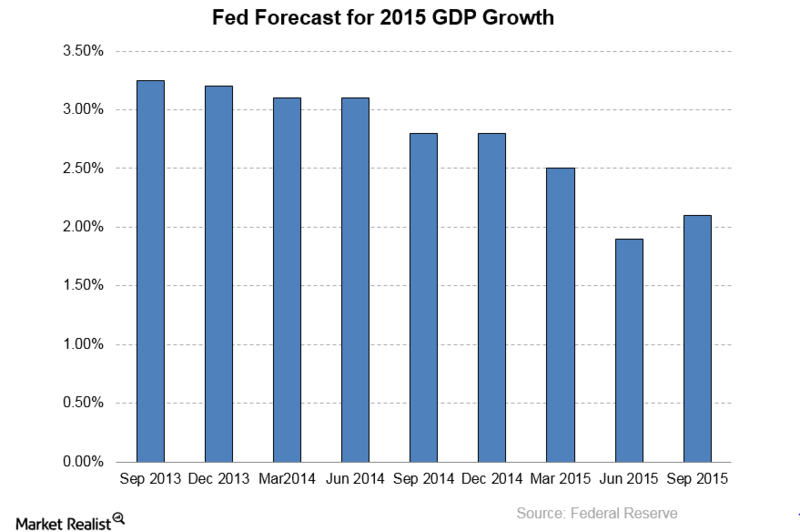 As you can see, the Fed has been consistently high in its forecast for GDP growth. So, they begin to prep the markets for a rate hike based on their forecast that GDP will improve to a 3%+ rate of growth, and then back off when we start getting real numbers. I suspect the reason is because the Fed’s models are based on the garden-variety business cycle, where inventory build drives the process. We are in the aftermath of an asset bubble, and the problem here isn’t excess inventory – it is excess debt. And aside from the 1930s and Japan’s current experience, we don’t have a lot of experience with it. Everyone knows auto loans are the new subprime, as low interest rates have pushed investors into riskier and riskier paper. 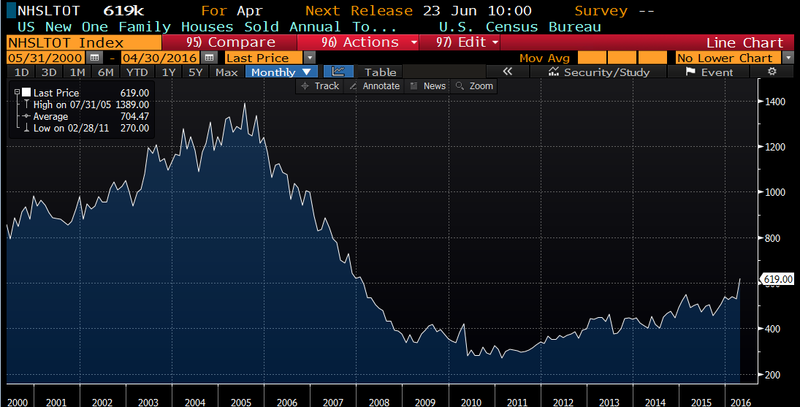 Eight year car loans with rates around the current mortgage rate are common now. The other new issue: negative equity. Separately, the CFPB is going after auto title loans as well as payday lenders. Is the government basically setting the stage such that the unbanked have nowhere to go to get credit? Many would like to see the post office become a bank.